Why we love it: Get a close shave every time. 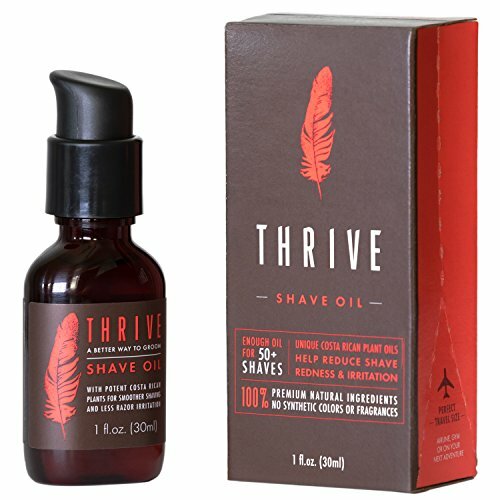 Every bottle of Thrive’s Shave Oil contains 50 shaves worth of botanical oils and extracts that are specifically blended to provide a cleaner, smoother shave. Medicinal plants like Rosemary and Eucalyptus protect and heal the skin while giving an easy glide that extends the life of razor blades. This great shave oil is gluten free, GMO free, and animal product/cruelty free (ok for vegans).